Do you want to experience real iOS Apps right from your Windows system? Today in this article you will learn to run iOS Apps on Windows. Yes, we are talking about iOS Emulators, iOS Emulators or iPhone Emulators are software that creates an ecosystem to use iOS Apps from our computer itself. If you don’t have an iPhone or iPad don’t worry, you will be still able to use iOS Apps on your Windows Laptop with the trick mentioned below. Have you ever wished that you wanted to use some iOS Apps but don’t have any Apple Product like iPhone or iPad with you? You will need them no more to run any iOS Apps. With software like iOS Emulators, you can run any iOS Apps of your choice on your Windows computer or laptop. It doesn’t matter which version of Windows you are using, whether it be Windows 10 8.1 8 7 or even XP, you will be able to run them. If you are looking for Android Emulators to run Android Apps then have a look at Online Android Emulators and Best Android Emulators for Windows – Offline as well. That’s a short intro to iPhone Emulators for PC. Now, let’s dive deep into iOS Emulators and see how they work and best of them available for Windows or PC. Without further ado, let’s get started. For starters, who are not that much aware of iPhone Emulators, let me explain what is it in brief. Basically, iOS Emulator for PC is software that creates a favorable medium for iPhone Apps to run on a Windows machine. For example, let’s say that you wanted to use Instagram on your PC and that too an iPhone version of it. 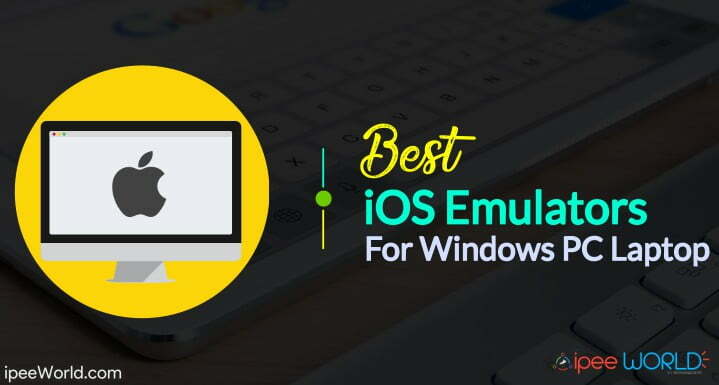 You can easily do it with the help of iOS Emulators for Windows. In this way, you can run pretty much any Apps from the App Store right on your Windows Laptop. This is not just limited to any particular App, but to all Apps that iOS can support. If your Windows computer or Laptop is having WiFi then file transfer can also be done without any hurdle. If you want to transfer files between Computer and Smartphone then have a look at Xender PC Version. Test Apps that are being developed. No need to run it on an iPhone to check for bugs and Fixes. Do it right on your computer. Play your favorite games in HD High Resolution with little or no lag. Run same instances of an app on multiple devices at the same time. Test Drive iOS and see how it works. If you are about to move from any other platform to iPhone, then you can test use it and see how it looks and check whether it suits you or not. 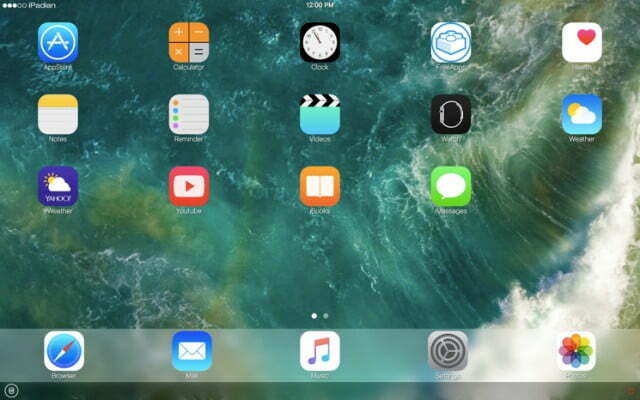 Create an Ecosystem to run any iOS Apps for iPad and iPhone. Get access to App Store and install any Apps or Games of your choice. I will list almost all the best iOS Emulators that are available for download. This list will include both Online and Offline based of them. Online means, you need a working internet connection even if you want to try some Offline Apps on the other hand Offline version can be used to run Apps even if there is no Internet connectivity. iPadian is one of the best and my favorite iOS Emulator to run any iPhone apps on our Windows Laptop or Computer. It is an Offline based software that lets you try Apps even when you are out of the Internet. More precisely, iPadian can be called as an iPad Emulator because it emulates an iPad screen on our Computer or Laptop. Download the offline installer of iPadian, install it on your computer and you are all good to go. It comes with an App Store preloaded in it, you can try various apps and games and even install them through this App Store. Now, the newest version of iPadian comes with iOS 11 which is the latest addition to iOS with much more features and flexibility than ever before. MobiOne Studio is a software that is used to create Mobile Apps and Websites which comes with iOS Emulator, Android Emulator, and an Android Emulator. 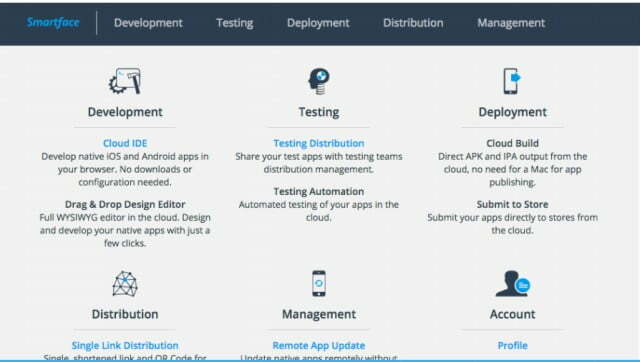 Mobieone Studio is basically for developers who want to test and debug the Apps for the purpose developing it. Mobione Studio supports iOS and Android App design and testing and you create any of them without even touching a single line of code or programming. 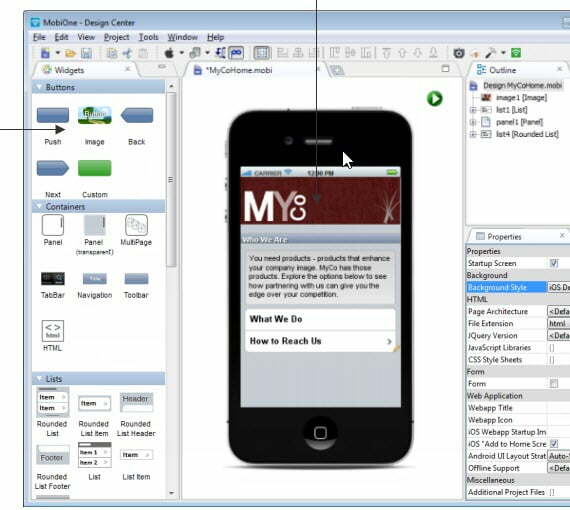 The web builder of this iPhone Emulator comes with WYSIWYG builder which is easy to use and much more versatile. 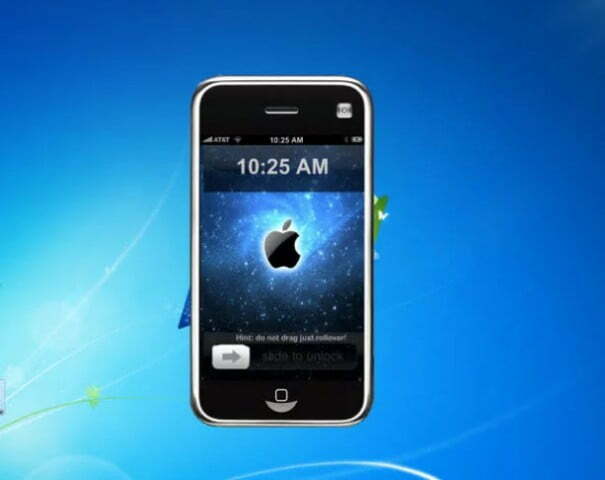 Although, MobiOne Studio is a great Application for running iOS Apps on Windows PC easily. It works with all version of Windows including Windows 10 Windows 8/7/8.1 and even Windows XP. Appetize is a completely cloud-based iOS Emulator to run any App of your choice. The cloud version of Appetize although comes with some Apps pre-installed. But, the sad part is that you won’t get access to the App Store with Appetize iPhone Emulator. Everything other than this is great for this service. It tried Appetize a few times and it really seems a lot promising. As I mentioned earlier, this is a Cloud-Based software so you are not required to download anything like a setup Installer. Everything from start to end happens right inside Appetize’s server itself. If you are looking for a good Cloud-Based iOS Emulator then Appetize.io is must check Application for you guys. Smartface is a iOS Emulator mostly used by App developers to create, test and debug new Apps. It is extremely easy to control navigate and use Smartface. It is a simple program with all basic functions. Smartface is for Windows platform. While using Smartface in Windows also be sure to install the latest version of iTunes as well. So, it can work altogether by syncing with iTunes. If you are a developer looking for iOS Emulators then Smartface is something that you should keep an eye on. You can easily edit and tweak codes to debug it properly and later on execute it to the final stage of development. As mentioned earlier, AIR iPhone Emulator is a program based on the Adobe AIR Platform. 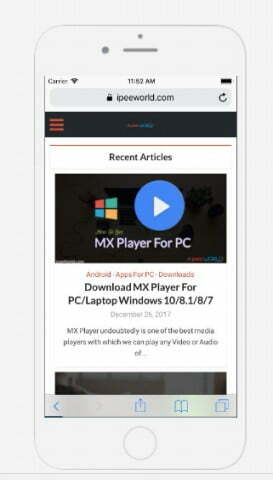 In order to make AIR iPhone Emulator to work on your device, you need to install Adobe AIR Software on your computer, only after that install iPhone Emulator. iPhone Simulator is basically a software that lets you to try the Apple iPhone user interface before making a purchase of the actual physical unit. This software can also be used to install some third-party apps and try them. iPhone Simulator is not an iPhone Emulator but it is a Simulator that simulates the exact same iPhone user interface right in your computer or Laptop running Windows. Not all Apps will be available with iPhone Simulator, not App Store is available to directly install Apps. This software is having really low Capacity and features when comparing to other Emulators in the list. These are some of the best iPhone Emulators that are available for completely free. I have tried a few of them listed in this article it seems a lot promising than ever before. Now, go through every individual Application mentioned above and download or use the one that suits you the best. Also be sure to comment your favorite iPhone Emulator from the list and share this article with your friends as well.